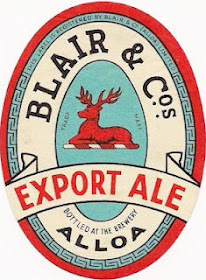 WW II was a challenging time for British brewers, though, due to a variety of factors, not nearly as difficult as WW I. The biggest difference was that, unlike in WW I, beer production was maintained at it pre-war level. Even in terms of standard barrels, which take the OG of the beer out of the equation. In terms of bulk barrels, production actually increased by 25%. The difference between the two wars was due to a variety of factors. Better preparation, an assumption that the war would last several years, and controlling food supply right from the outset meant that raw materials were never in as short supply. But another important factor was the more sympathetic approach of the government. In WW I the authorities had been positively hostile to the industry. At first glance it might seem odd that imports held up so well during WW II. In WW I, imports had dwindled to zero. But it’s all about Ireland, which in 1939 was an independent country. But still supplying large quantities of beer to the UK. Imports during the war years were almost exclusively from Ireland. And the vast majority of it a single beer, Guinness Extra Stout. There was one thing which suffered: the strength of beer, which dropped by almost 20%. Average gravity would never return to its level of 1939, settling down at around 1037º in 1951. Where it remained for the next forty years. It was one of the most long-lasting effects of the war. Beer production and consumption, which both fared well during the war, weren’t so lucky during the peace. They fell all through the 1950s and only got back to their 1948 level in 1961. Falling demand was one of the factors behind the large scale rationalisation in the 1950s. Brewers' Almanack 1955, pages 50 and 57.